Hot off the press is this brand and icon system for Simple Six. 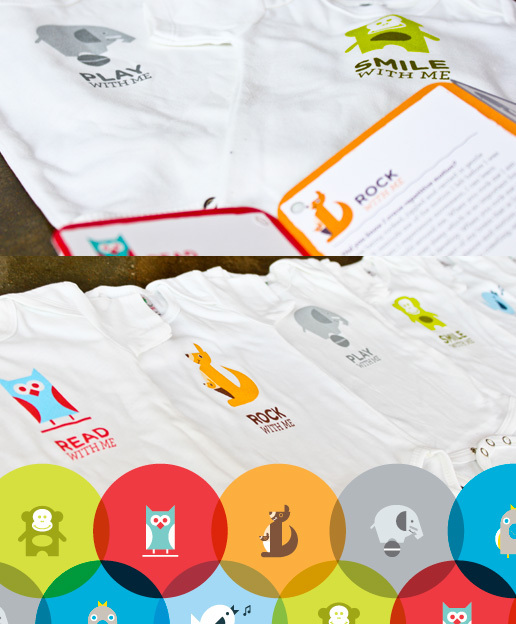 Six icons printed onto onezies as a reminder to interact with your child, and helping them develop. Matching the action with animals with a clean polished modern look.